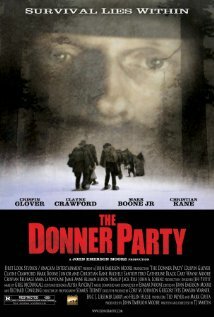 Buy or Rent The Donner Party (2009) Movie DVD & BluRay Online! Movie Plot: Based on the real events of The Donner Party tragedy. The Donner Party was a group of California-bound American settlers caught up in the western expansion of the 1840s. After becoming snowbound in the Sierra Nevada during the winter of 1846-1847, a number of the trapped settlers joined together in a final effort to reach California and organize a rescue party.